You are sure to waltz in the room and have all eyes on you! 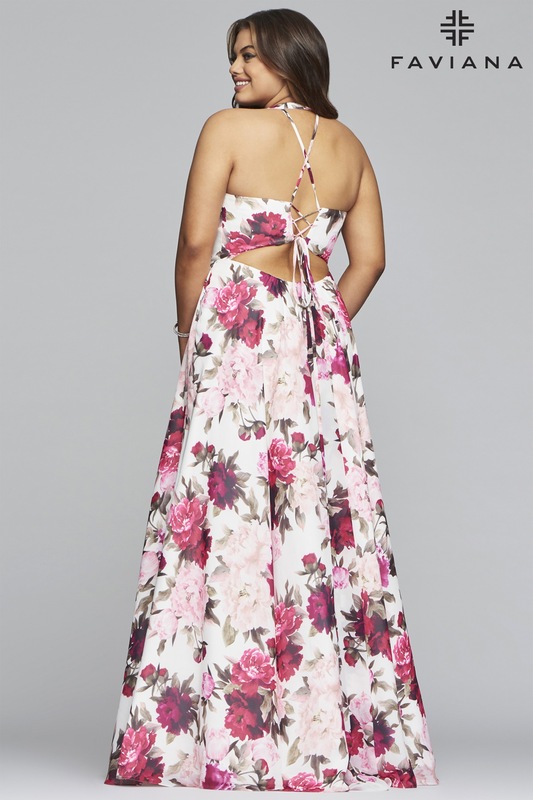 This stunning chiffon gown has a flattering natural waistline. The back has a stunning lace up detail that makes for an easy fit. This dress features pockets as well!